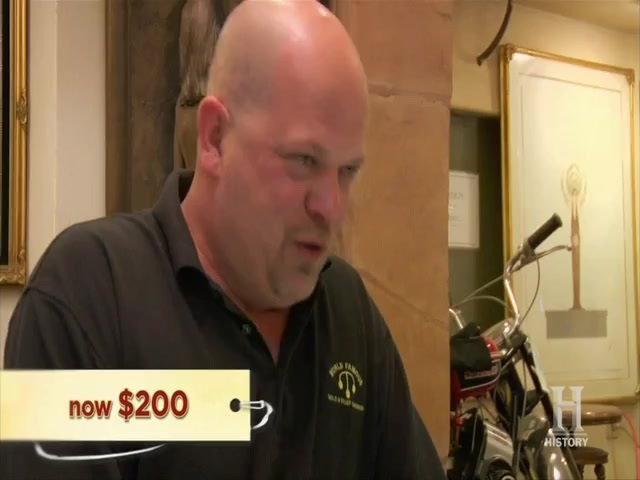 The Pawn Stars are presented with the most explosive item to ever walk through the door–a pair of Soviet nuclear missile launch keys. Can the gang count down and launch the deal or will it blow up in their faces? Then Rick hopes to buy an extremely unique 1920s ukulele banjo made by the legendary guitar company Gibson. Will Rick strike up a chord to buy this antique instrument or break a string making an unsound deal? And later a man walks in the shop with two of the biggest guns Rick has ever seen. But when it comes to pricing these behemoths of bang will size really matter?